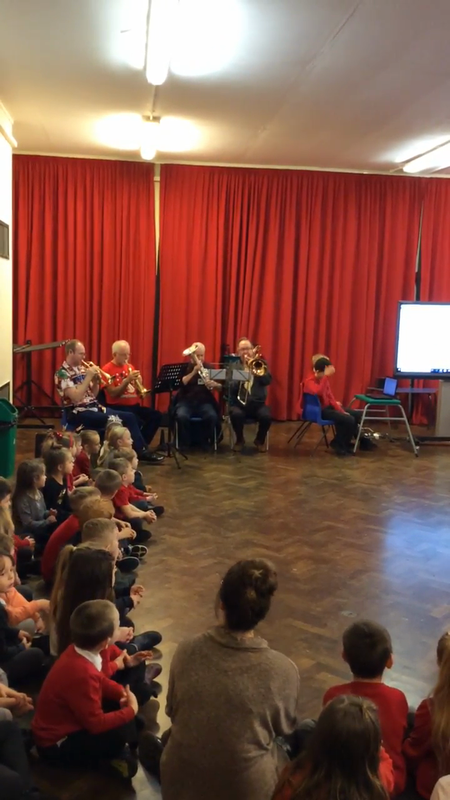 We had a musical theme running through our final assemblies of 2018 with a visit from some brass musicians, including Mr Robins. 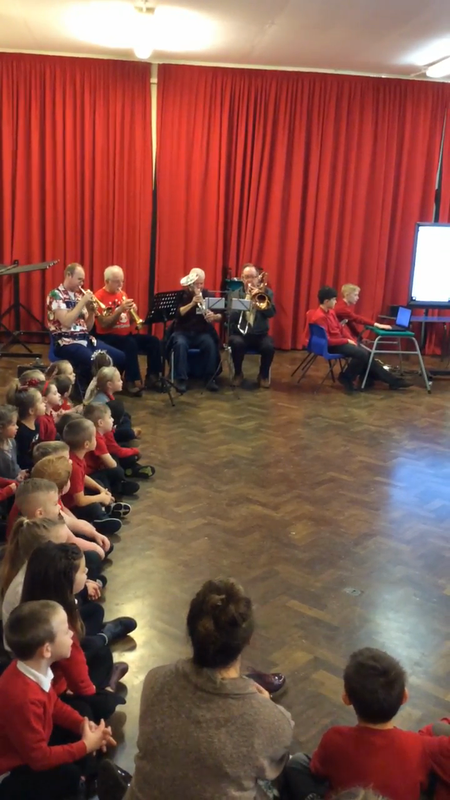 They sat in-between both halls and played Christmas music as both KS1 and KS2 children entered the hall for their assemblies. Right at the start of KS1 assembly, Mrs Foster introduced children from our newly formed recorder club, who played the carol Jingle Bells in what was their first ever performance. 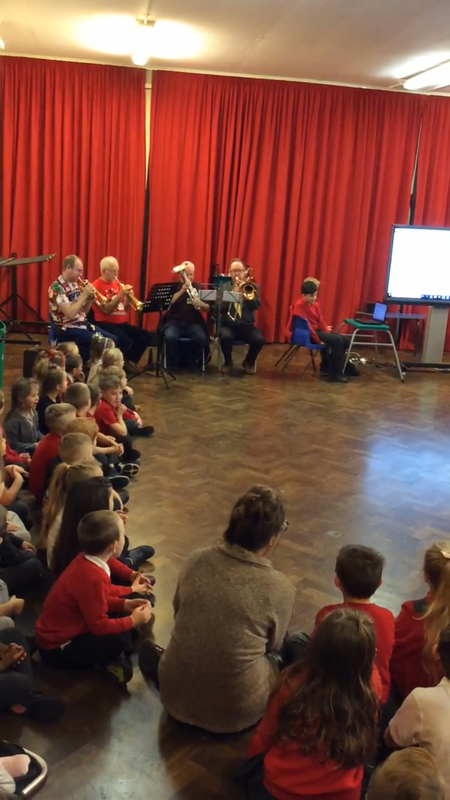 They performed brilliantly and were given a rousing round of applause from their friends and the many adults who were watching. They were so brilliant that they were asked to play it again at the end of the assembly as an encore. 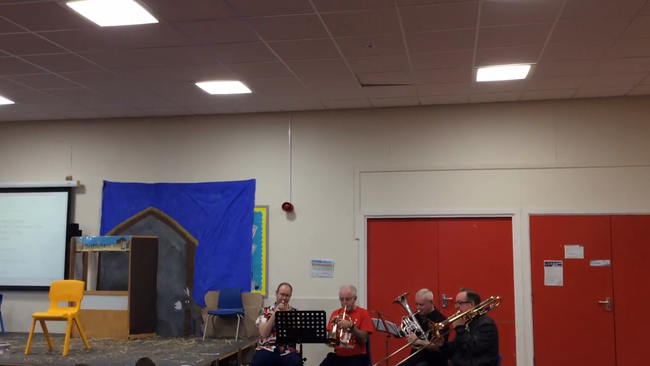 The brass musicians felt a little intimidated following the fantastic performance from the recorder club but they were able to lead the children through 3 carols - Jingle Bells, Rudolph the Red Nosed Reindeer and We Wish You a Merry Christmas. 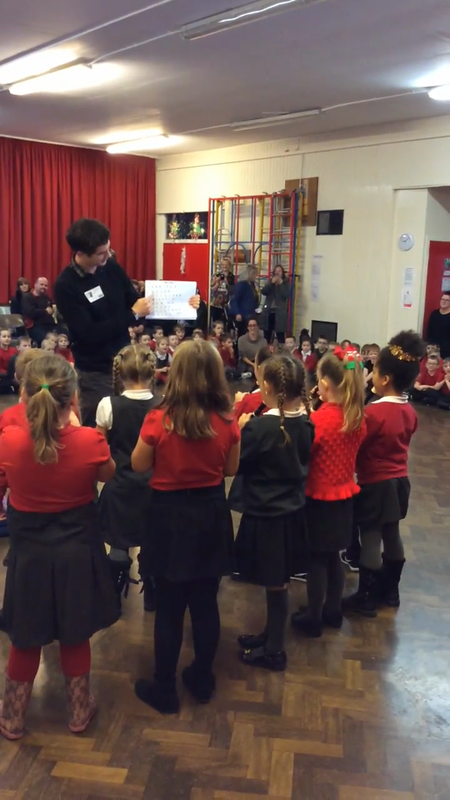 Some children helped by shaking jingle bell sticks and everyone sang enthusiastically. 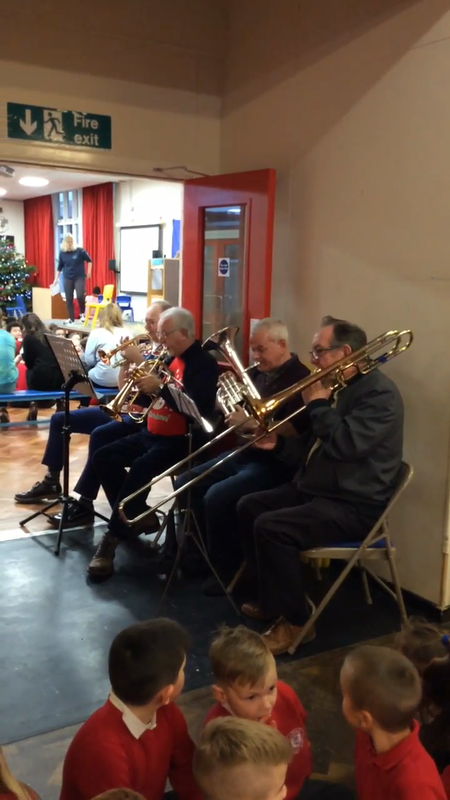 The brass musicians then moved into the KS2 assembly and led the children through 3 carols - I Wish It Could Be Christmas Everyday, Jingle Bells and Rudolph, before playing Last Christmas as the children left for their classrooms. 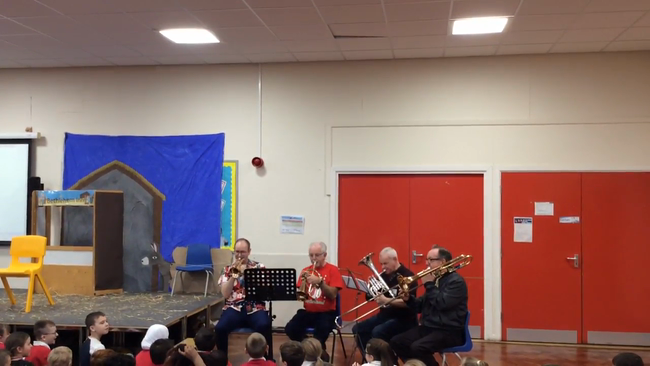 Reception were very lucky this week as we had a visit from Mr Robins and his brass band! 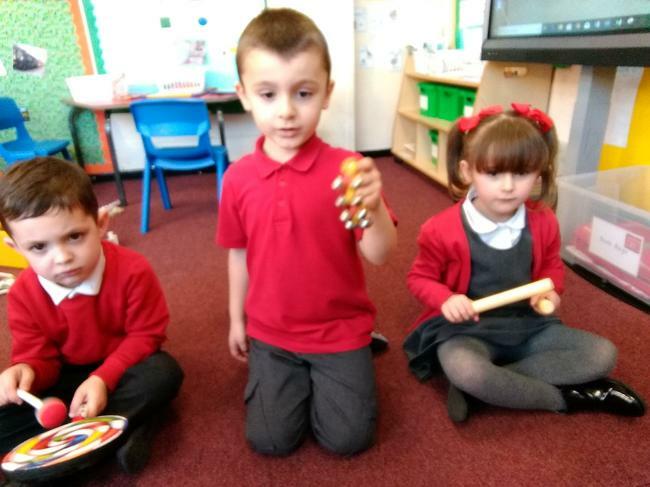 We enjoyed listening to them play their instruments and singing along to our favourite Christmas songs. 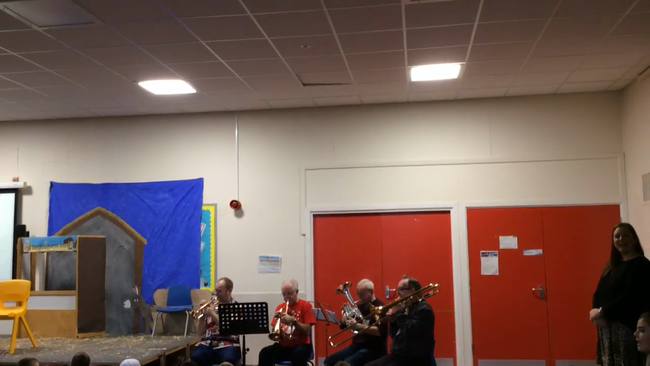 We even joined in by playing the bells for Jingle Bells and some children were invited to conduct the band - some budding musicians were definitely spotted! We have just purchased some Boomwhackers in school. These are plastic tubes that represent all the different notes on a scale. Each tube is coloured differently to help children understand musical notation. 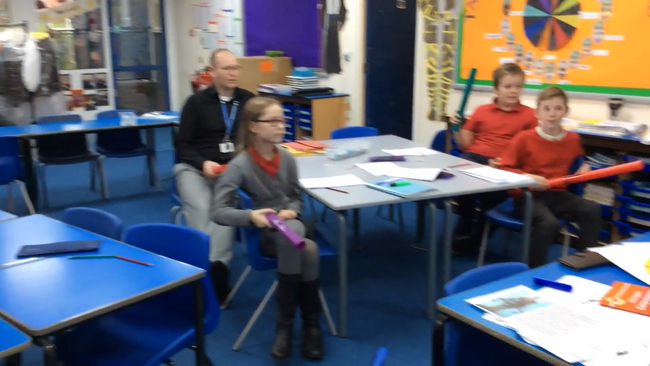 Below is a very short clip of a group of year 6 children that tested them out with Mr Robins. 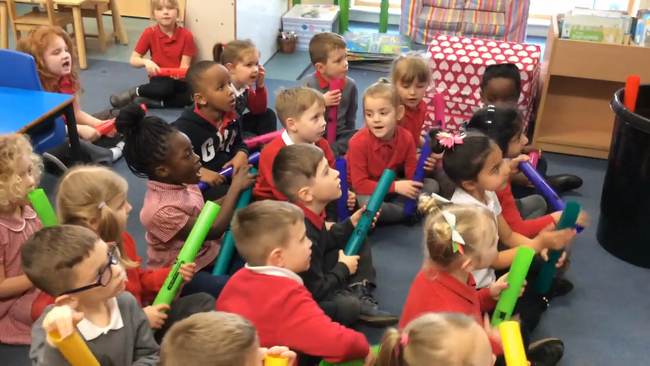 They have been really popular throughout school so keep coming back to this space, or the music section, to see more clips of classes using them. RFW were introduced to the Boomwhackers. 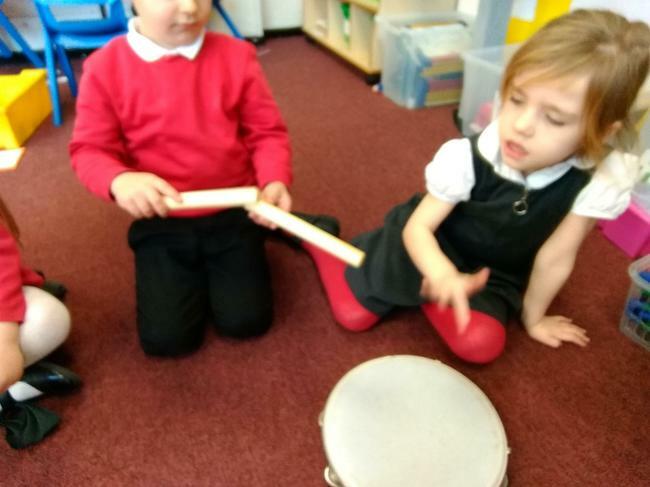 They tapped them on the floor to investigate what sounds they made and they also copied a rhythm that was tapped out. 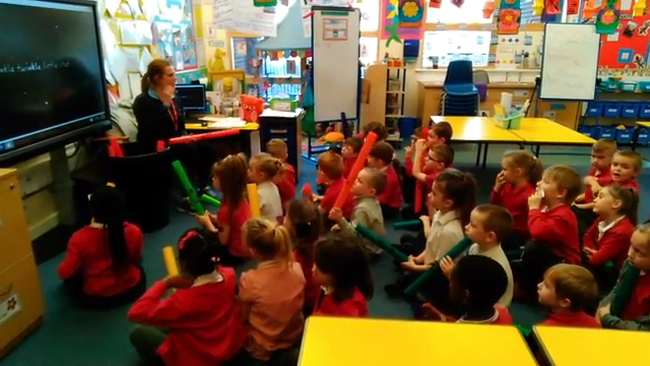 They really enjoyed using the Boomwhackers and are looking forward to more lessons! During Friday Project time in year 4, some children chose to write their own version of songs we are singing in school. 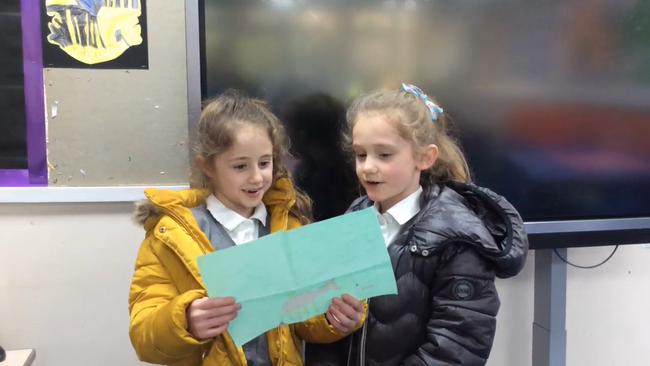 These two girls in 4EB chose the song 'Three Little Birds' by Bob Marley and rewrote the lyrics, based on unicorns. 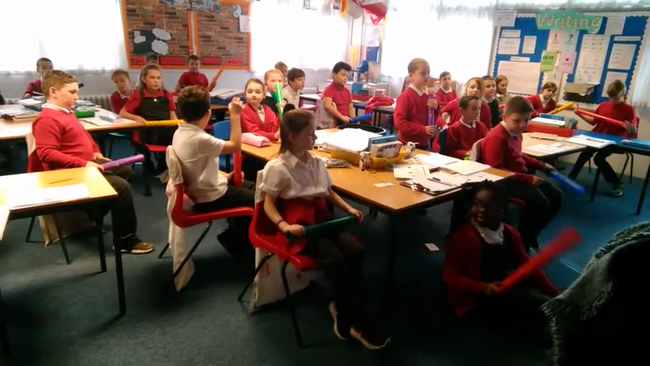 4CJ had their first try with boomwhackers today. We played along to a James Bay song. We did really well for our first time and we're looking forward to seeing where we can take it! Today the children have been using Boomwackers. 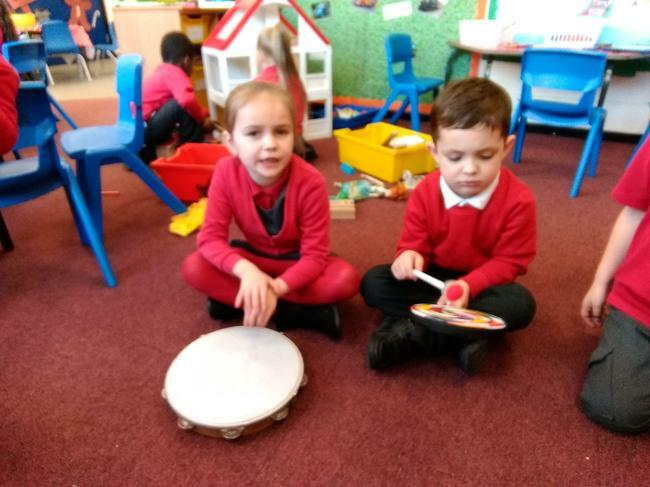 The children loved using the tuned instrument to make different sounds and practised hitting them to a beat. We will be experimenting with the instrument throughout the term. 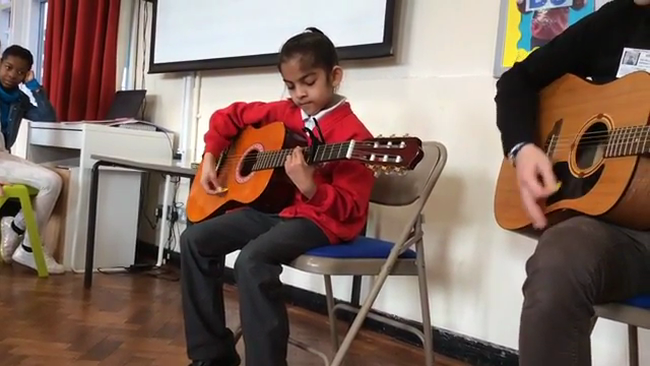 Helena in year 6, who has been having guitar lessons with Josh, offered to perform in KS2 assembly. 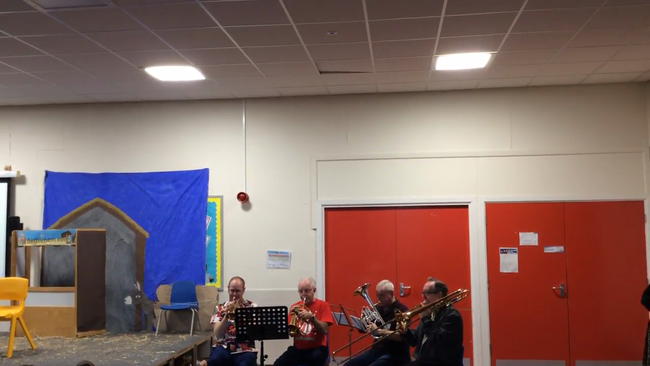 Here is her performance of Wonderwall by Oasis, sang in front of over 200 children. 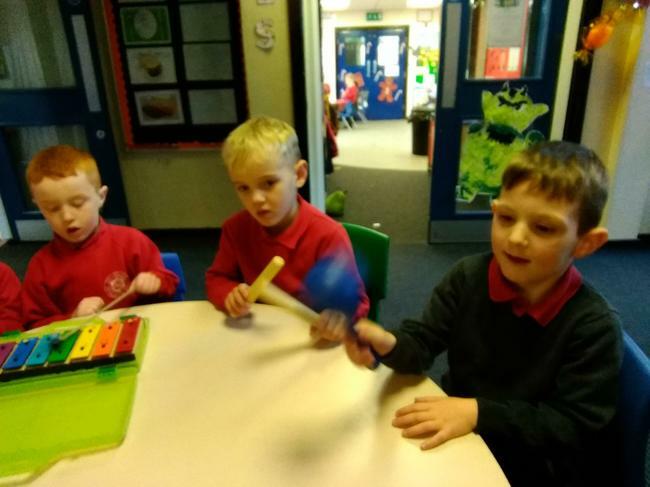 1SP are really enjoying using the Boomwhackers during their music lessons. Here is their performance of Twinkle Twinkle Little Star. 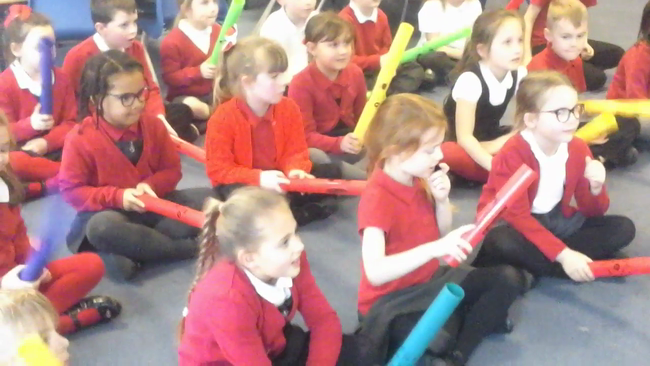 In 2DP we used boomwhackers to improvise along to our Charanga song, 'I Wanna Play in a Band'. 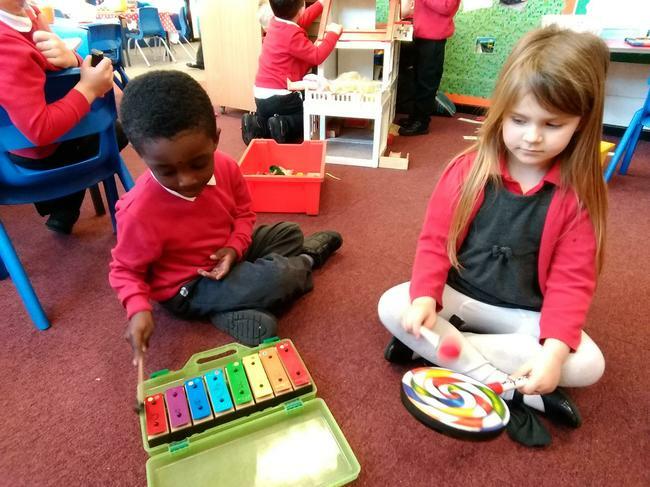 The children were really sensible and thought carefully about the rhythm and pitch in order to play their instruments appropriately. 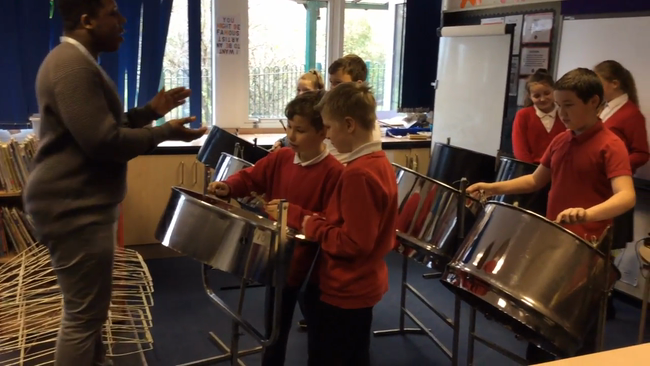 Year 6 have been working hard learning how to play steel pans and are almost ready to perform. Here is a short clip of their latest rehearsal with Jermaine. Above is a video clip of 1GH attempting to play Twinkle Twinkle Little Star on the boomwhackers. It was their first attempt and I'm sure you will agree, they were amazing! 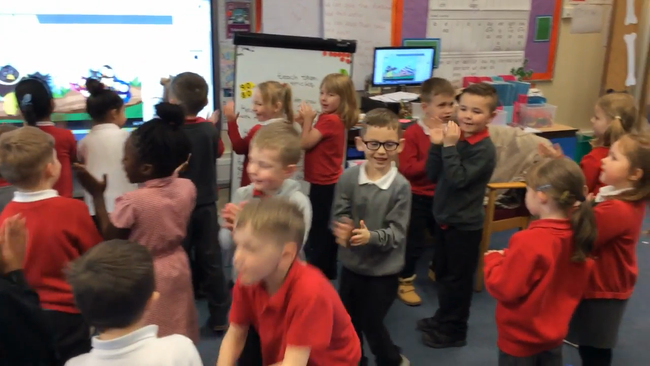 The clip below shows 1GH working on some rhythm games, using Charanga and replicating Miss Heszelgraves' clapping rhythms. 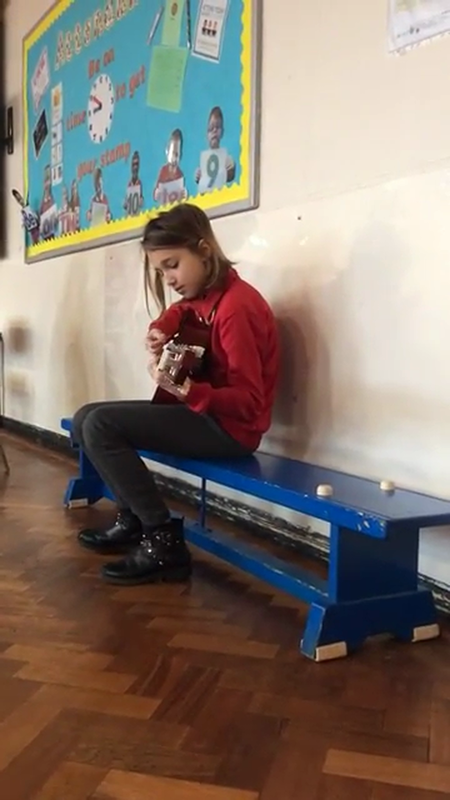 The video above shows 2 brave girls, Hanna from year 5 and Sonakshi from year 4 playing their guitars and singing Wonderwall in front of a packed out KS2 assembly.